First Floor 1395 sq. ft.
Width 46 ft. 4 in. Depth 63 ft. 10 in. 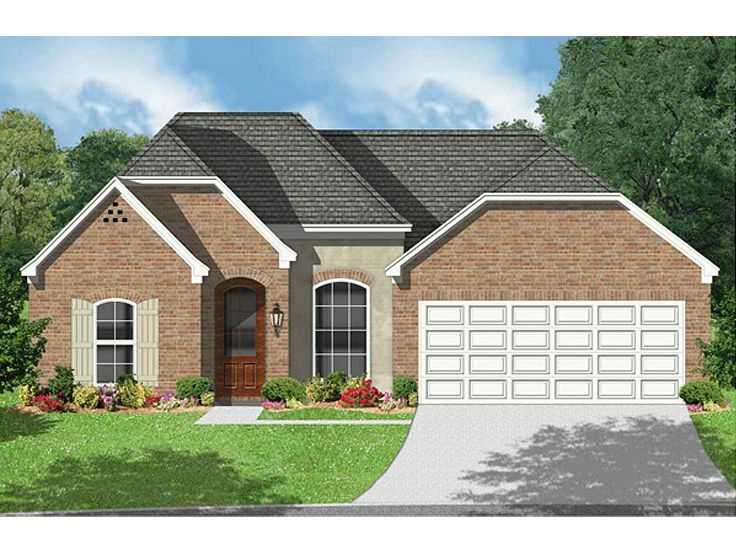 An interesting roofline and European flair give this small and affordable house plan street appeal that will blend well in any neighborhood. 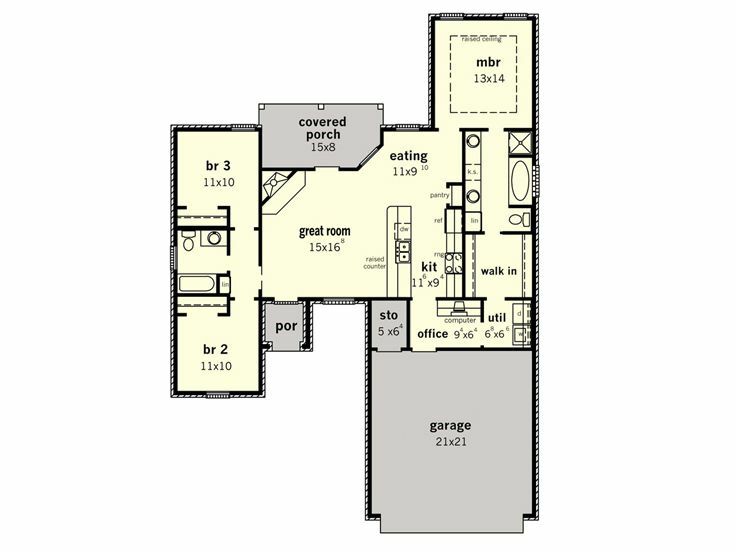 At just under 1400 square feet of living space, the floor plan is comfortable and practical for those on a budget. A split-bedroom layout arranges bedrooms on either side of the home with the gathering areas positioned in the center. Stepping in from the covered front porch, the great room greets all and reveals a corner fireplace and 12’ ceiling as is connects with the pass-thru kitchen and casual dining space. Pay attention to the covered porch extending the living areas outdoors. Now take a look at the kitchen featuring an eating bar, ideal for snacks with the kids or serving buffet style meals for special get-togethers. 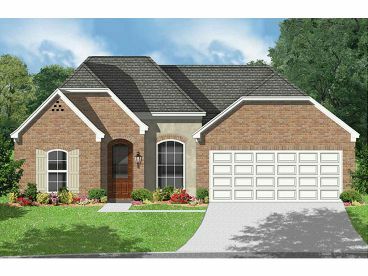 Just off the kitchen, you’ll find organizational features including the utility room, office and 2-car garage with storage. Your master bedroom boasts a raised ceiling and lavish bath complete with His and Her vanities, a garden tub and separate shower not to mention access to the utility area via your walk-in closet. On the opposite side of the home, two family bedrooms share a hall bath. 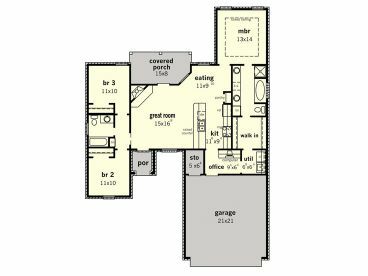 If you’re looking to build a new home on a budget, you’ll find function, style and comfort with this European ranch home plan!